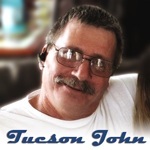 For Garage Door Repair Tucson, Call John! - Quality Repair Work, Without Breaking the Bank! When it's time for a garage door repair in Tucson, it's usually something you need to have taken care of right away. The safety, security and convenience provided by your garage door is something that is easy to take for granted... until it stops working! Your garage door may be the most frequently used door in your house. It has dozens of moving parts and can easily weigh over 400 pounds... When you realize this, you understand that having it fixed by an experienced, qualified professional is critical! 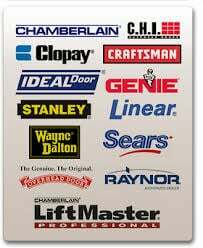 I've been working on and repairing garage doors in Tucson and southern Arizona for over 25 years, so I have the knowledge and experience to know what needs to be done to fix your door. And I have the skills, parts and equipment to make sure it gets done right. I stock most common parts and have them right on my truck with me, so repairs can usually be done the same day. So whether you need to replace a garage door spring, repair or replace a cable or an opener, or change out one or more garage door panels, I can take care of it for you. 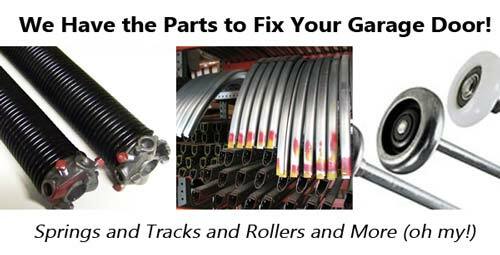 Worn out rollers and bent garage door tracks are other common issues that may cause complications in getting your garage to open or close properly, that I will gladly fix for you. My overhead is low and I don't pay any commissioned sales people. That means the price you pay is usually significantly lower than what you'll find from some of those giant companies that have advertising all over Tucson. Since I'm the guy answering the phone, giving the quote and doing the work, you can be confident that the quote is appropriate for the work to be completed. You also know that the work will be done by someone with over 25 years in the business... Me! 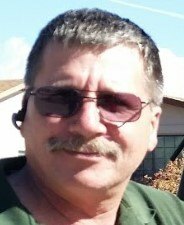 Your Friendly, Local Tucson Garage Door Repair Specialist... with a smile! Because my name is my business, taking care of my customers and treating them well is my #1 priority. I stay busy because people appreciate the work I do and the fair prices that I charge, and they share that with their friends and neighbors. 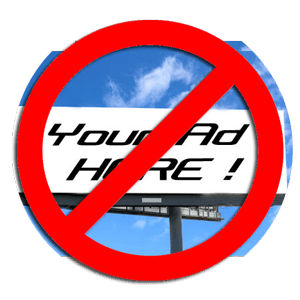 I don't run TV ads or place billboards around town to get repair work. You won't call a toll-free 800 number that goes to a call center... I just focus on keeping my customers satisfied. 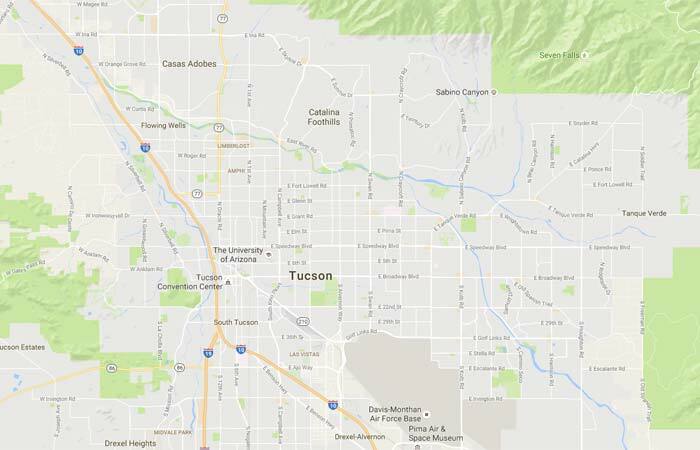 I know that if you give me a chance to earn your business, you'll understand why my reputation is what it is here in Tucson. I hope you'll give me that chance. It seems that something as critical as a working garage door to get into (and secure) your home, always seems to fail at the most inconvenient times. Like when you need to leave for work and you can't open it to get your car out, or when you're getting home at night and realize you can't close it to secure your stuff. While I don't offer "24/7/365" service, I do take calls 6 days a week from 8:00am until 6:00pm. I work with your schedule to find the soonest, most convenient time for me to come to you to take care of your repair needs. No matter what you need done to your garage door, I'm here to help. 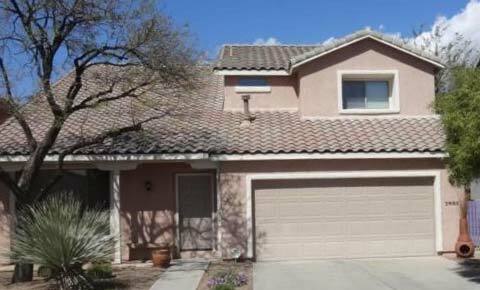 If a job is too big for me alone, I have outstanding relationships, and work closely with, other local, independent Tucson garage door repair companies. We help each other out as needed. So either they will help me complete a big job, or I will let you know that I recommend them to take on a particular job if I am unavailable. You'll still have me, John the Owner, standing behind the work that gets done. There could be a lot of different things that are making a loud garage door. I'm going to go over five things that you can do to make it quieter. If your garage door opener is making a lot of noise inside your house then it's because all of this energy vibrating inside of the opener is being transferred through these beams straight into the supports in the roof. Right here you can see these bolts are going right up into the beams that are underneath this sheetrock. So one thing you can do is separate it. You'll want to unscrew the lag bolt and put a bushing in. I have one there and one there and what that does is it acts like a shock absorber so that this metal beam actually isn't riding onto the ceiling there and transferring all that energy and thus amplifying it into the house. Now another source of noise could be coming from your garage door chain. Some of them have belts, and if you have a belt instead of a chain then you're not going to have this problem, but chains can fatigue over time just from being stretched, and they'll sag a bit. Now if they sag far enough to actually hit this metal, when it's going you'll hear a tap tap tap tap tap tap tap tap tap and it can actually make noise hitting this part here that rides along that track. So if you do have this problem you can tighten your chain here. You can see here's one end it's locked on there but this other end has two nuts you can unscrew - this one loosens this and tighten it so that it's pulling the chain tighter. Now the trick is it's okay to have a little bit of sag on - you don't want it absolutely straight because if it's absolutely straight you're going to put too much tension and too much pressure on this gear here and you'll snap it off - and that's not going to be a super cheap and easy fix. Another area that could be producing noise is here - both sides of the garage door have these little rollers and they ride along this track that goes all the way down to the ground. Now what happens sometimes these will get hit by a car or a bike or whatever equipment you have in your garage and can be bent out of alignment. And if it's out of alignment you're going to hear some fairly loud grinding noises and screeching noises because it's the metal riding right up against metal. So you want to take a look and see if everything looks like it's straight in the line if one of these tracks is pulling the shaft of this roller either way too far this way or too far this way, and it's pinched, then you know you have a problem. You'll know that this is also a problem if your garage door makes the noise all of a sudden. So let's say it's riding up and all of a sudden when it gets to a certain part you start to get screeching noises, well then you know you probably have something wrong with the alignment of your track. 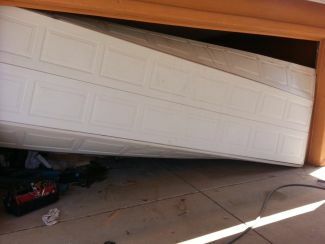 For Affordable Garage Door Repair, Tucson John is Your Guy!